NEW! MILLION AIR ZOOM map scale of 1: 500,000 of Greece! The myth of Icarus, Ariadne auf Naxos, the Cyclades, Mount Olympus ... so many names and stories that make you dream? So go ahead, the AIRMILLION map Greece ZOOM 2017 is for the Hellenist you are! Quickly discover this card that covers all Greece and Cyprus (2 maps at 1: 500 000 are required) on a duplex sheet 1: 500 000. 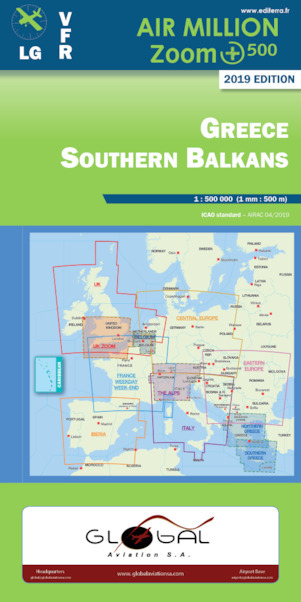 The map contains all information necessary to AIP flight : airspace SFC to FL180, controlled areas and restricted areas, airfields, radio resources etc.